HTC-Made Facebook phone at MWC 2011? We heard a lot of rumors regarding to a possible Facebook phone, manufactured by HTC. The rumors seem to be real, unfortunately it will only feature a Facebook button near the other ones found at the bottom of the phone. The handset will be introduced at MWC 2011, Monday. INQ Mobile presented the first possible Facebook phones and we hear that they will take part of this project as well. The button’s functionality is unknown, but we suppose it will be just a shortcut to the Facebook Application. The #1 social network is spreading all across the world having it’s role on smartphones, tablets, even on an Oscar premiered movies. We’ll see if the rumored button will be announced at MWC, or not. 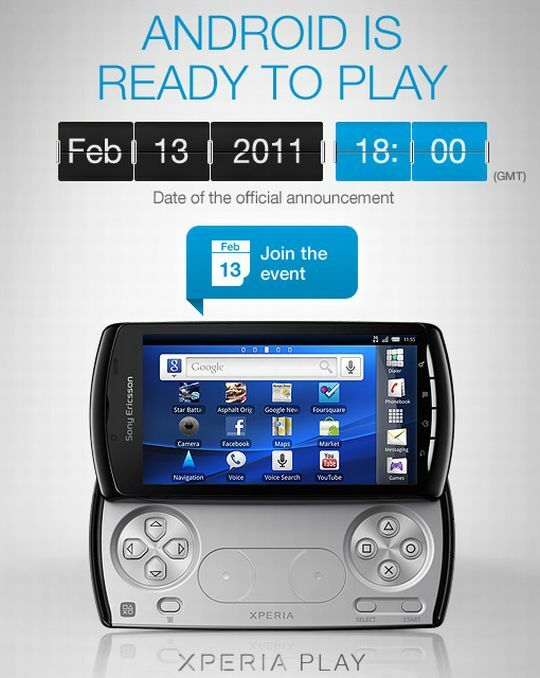 “Android is Ready to Play!“, at least that’s what Sony Ericsson‘s ad tell us. The video is kinda creepy, but it’s still got a logic, because the opposable thumbs of the robot might symbolize that you can either “Thumbs Up” or “Thumbs Down” the launch via Facebook. Too bad that they didn’t specified the price or the launch date of the handset, but we are probably going to gather some more information about it from the MWC 2011 next week. As an idea, the new Xperia Play is quite promising, since the gaming experience is combined with a smartphone. The only problem could be the quality of the games. Some weeks ago I saw a video clip about several games running on the Xperia Play and I had the feeling that they are even worse than the ones present on the PSP Slim. I’m not the one to judge the success of this new kind of handset, but I surely won’t bet for it. The event will be available on Facebook on February 13th and it will be most likely presented via streaming. All PSP fans should be there!